she’s probably wishing someone would. 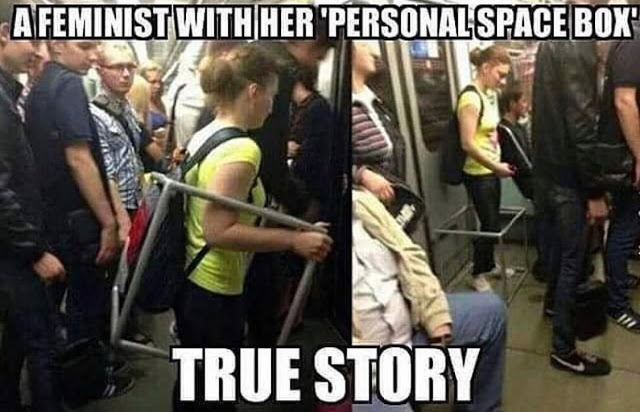 The only personal space on crowded public transportation is in her jeans. Hmmmmm, at first I thought she was checking to see if she fit in the overhead compartment.